Cosmos Green was incorporated on 25th March 2011 as a Private limited Company. The founders are Mr. Sathya Raghu, Mr. Ayush Sharma and Mr. Raghavan Srinivasan. Besides these three promoters, the company constitutes ten employees. The principle drive behind the establishment of the company was to emancipate small and marginal farmers in the country by a model that would be a ‘for profit’ model. 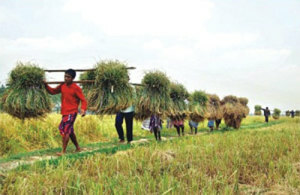 The company can be termed a unique model that is not an NGO but works for the betterment of farmers. Through the concept of Guar production and vegetable retailing, the company enables farmers to earn livelihood on their own with initial investment. • Subdivision and fragmentation of lands that lend poorly to accommodate the winds of change like use of machinery, technology, and shift from traditional crops to experiment with newer/profitable crops. Small holding also does not make it viable. Perpetual indebtedness is a major factor and drives him to suicidal tendencies. • Poor marketability of farmer’s produce liquidates him in the hands of money lenders. He is unable to make his ends meet and is thus driven towards penury. • Uncongenial environment; be it Government on distribution of subsidies or other agencies like panchayats etc., not coming to sort out his genuine problems. These factors have strangulated a farmer’s life. Hence the founders explored avenues of changing these age-old challenges. The model they brainstormed brought them to create a corporate enterprise that will partner with the poor and marginal farmers and conduct agriculture in a professional manner. The task seemed formidable. However when a close friend offered his yearly aggregation of lands worth 130 acres in a small village in Karnataka, things paced up. The company then started its agricultural activities. Farmers, who desire the company to develop their lands and produce of economic value, shall be helped to create a ‘Limited Liability’ enterprise and commence cultivation of the lands in a systematic and scientific manner, select appropriate crop based on soil sample analysis and believe that organic farming is economical and kind to earth, and that the farms of the company are 100 percent organic. The company’s activities are mostly advertised through word of mouth. Farmers came to know of the reliability of the company after having seen their work. 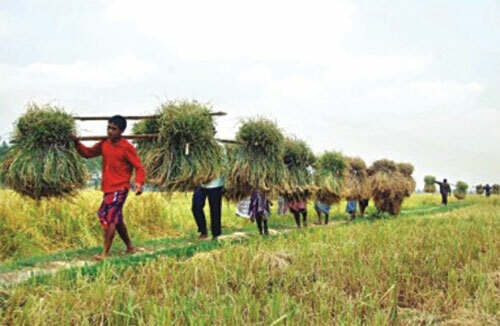 Laborers coming from nearby villages who work in the farm carry news about its activities. It does not concentrate more on publicity but on creating eminence of its services among farmers so that more farmers approach them with their concerns. Cosmos Green currently has two projects in hand. The first one is in Mullur in Raichur District and the second one in Depalli in A.P. The second project is an initiative of a friend who was impressed by the company’s work in Karnataka and bought 100 acres of lands and entrusted to the company. It now operates on two projects with a total of 230 acres of lands in two places. Vegetables and long term plantations are grown on the farmland in A.P. Unlike other corporate companies who sell farm produce from their retail stores after buying either directly from farmers or from mandis, the company initiated a retail venture in Hyderabad to sell vegetables from the farms of neighboring farmers under the brand ‘I am Farmer’. This gives it the leverage of best margins and profits by avoiding middlemen. Small farmers around the area are encouraged to grow vegetables. The company’s farms also have about 20 cows, the dung and urine of which is used to make Jeevamrutha for organic farming. It also plans to organize ‘Goshala’ to protect abandoned cows and bulls. The humble founders hope to benefit poor and marginal farmers without much pomp and show of their intention. The company plans to continue coming up with its own models or similar models focused on the theme of emancipating the poor and marginal farmers. 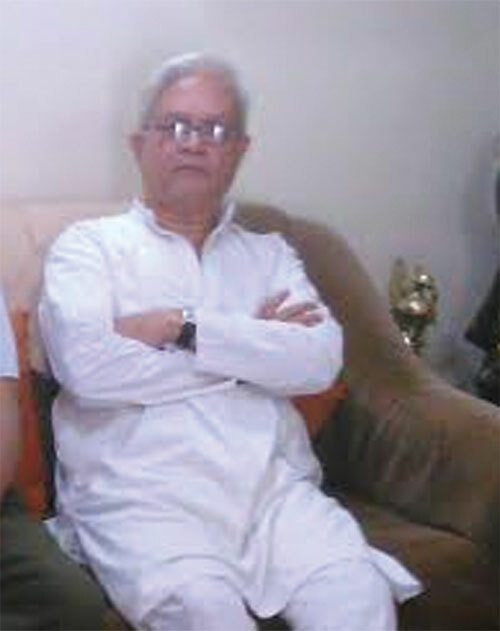 Mr. Raghavan previously worked for British Oil Company. While on its board, he once visited Golaghat in Assam for a project. Having seen the poverty-stricken place, he decided to take up something that would help farmers of such kind to become self-sufficient. Thus came the intention which later developed into an idea after his retirement. “My co-founders, though very young in age, amazingly have had similar views on helping the poor at their school and college stages in life. Hence we all make a perfect fit,” he gladly adds.